I love this image. 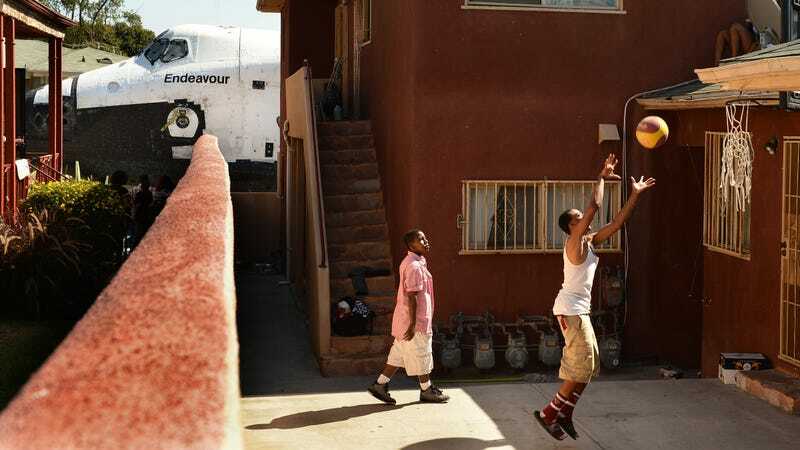 Two kids playing basketball while NASA's space shuttle Endeavour peeks from a corner on the background. It's like, "Sup boys? No interest in f*cking science or what?" According to the photographer Wally Skalij, the kids are Traymond Harris, left, and Ryan Hudge, right. They were playing as Endeavour played its own game: going the obstacle race course that took her through Los Angeles' streets, en route to the California Science Center.